Usually, food contaminated with gastro is raw or hasn't been cooked all the way through. This is mainly water that doesn't come from the tap or a bottle. Especially if they share a bathroom with you, or they prepare food for you. Wash your hands with soap and water regularly, especially after using the toilet, and before eating or preparing food. Don’t prepare food for anyone if you have diarrhea or gastro. Go and see a doctor at the clinic if you feel sick for more than a day or have signs of dehydration (feeling dizzy, not urinating as much as normal). Wash your hands very often (at least every hour) with soap and water. Don't forget to wash them every time you use the toilet, and before you eat or prepare food. In general, do not prepare or serve food for other people when you’re sick. Wait until at least 48 hours after your gastro symptoms (like diarrhea) stop. In general, do not go to work, and don't send any children with gastro to school or daycare, until at least 48 hours until after gastro symptoms stop. This is very important, especially if you work in a food service establishment (like a grocery store, restaurant or cafeteria), a daycare or school, a clinic, or any places that involve close contact with Elders, babies or children, or chronically ill people (like people living with diabetes). 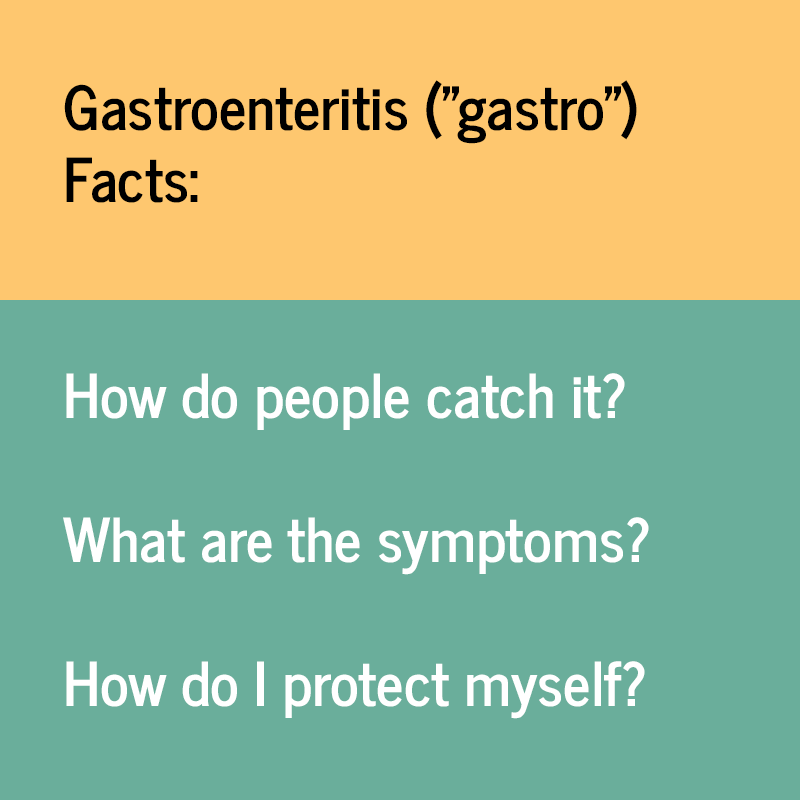 Some people, especially Elders, children, and people living with chronic diseases (especially kidney/renal diseases) can become very sick if they catch gastro. If they have gastro symptoms, they may need hospitalisation.